Glossitis, Stomatitis, Cheilosis, Beriberi, Polyneuritis etc. Capsule: 1-2 capsule 3 times daily or as directed by the physician. Injection: 2 ml daily IV or IM. 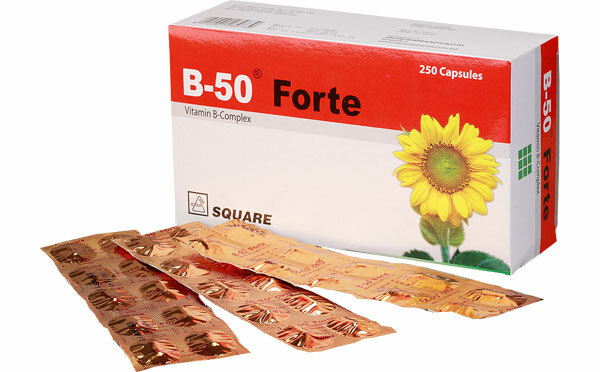 B-50® Forte capsule: Box containing 25x10 capsules in strip pack. 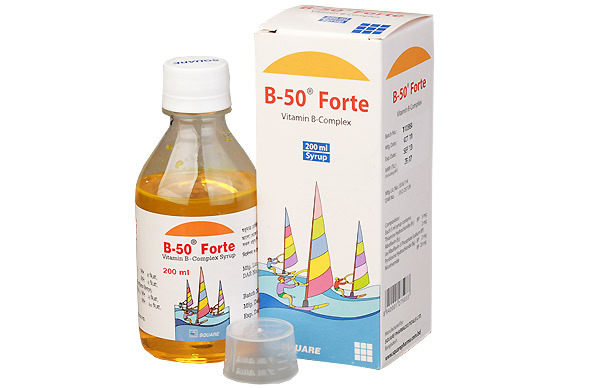 B-50® Forte syrup: Bottle containing 200 ml syrup. 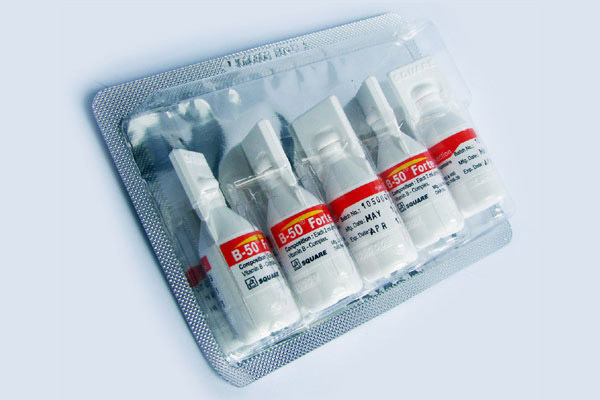 B-50® Forte injection: Box containing 2x5 ampoules in blister pack.